Screened-in porches are great for those who love the outdoors year-round while also escaping Missouri’s extreme temperature swings and pesky bugs. With a quaint ceiling fan and lush outdoor furniture, your screened-in porch is a great place to enjoy peace and quiet. 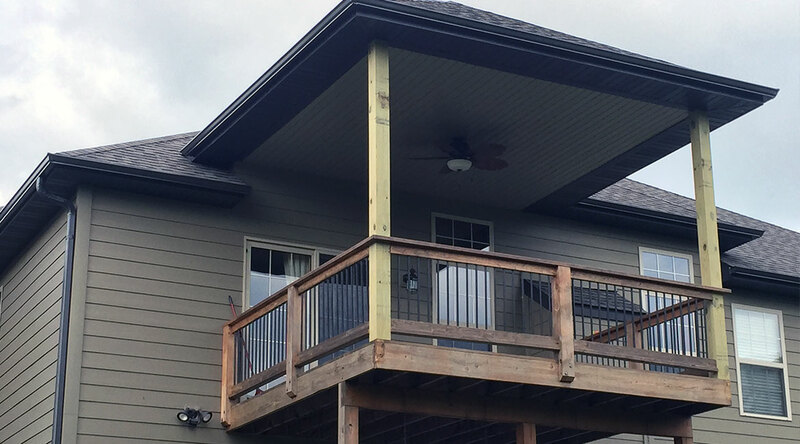 If you’re thinking about adding a screened-in porch to your home, it’s important you hire a contractor who has experience designing and installing high-quality materials to build a durable porch. Trying to construct a screened-in porch yourself could lead to a low structure quality, plus you’ll have the hassle of registering for a building permit which is required for any exterior additions. TrueSon Exteriors’ trained professionals are experts in screened porch construction in addition to project management and communication with our clients. 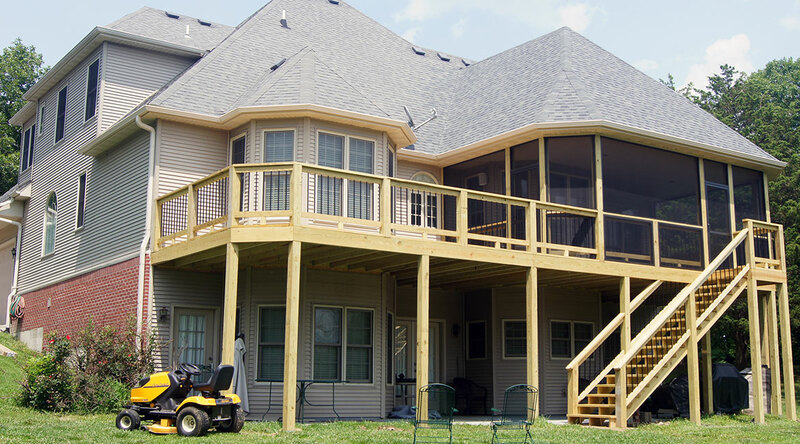 Our detail-oriented process is focused on sitting down with you before we start building, to discuss your goals and objectives in order to create the perfect screened porch plan for you. 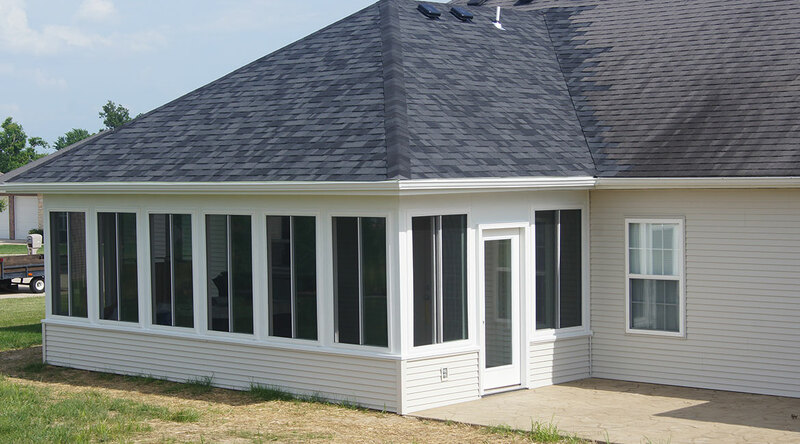 Plus, we offer a five-year guarantee on our screened-in porches. Whether you plan on adding a roof over your deck for shade, or adding screens and windows, we can help you bring your dream screened-in porch to life. In summer, you’ll be able to keep those pesky mosquitos out with a fully enclosed room while still enjoying the warm breeze. Then as it gets colder, you can sit in your comfortably warm porch to watch the leaves turn and snow fall. 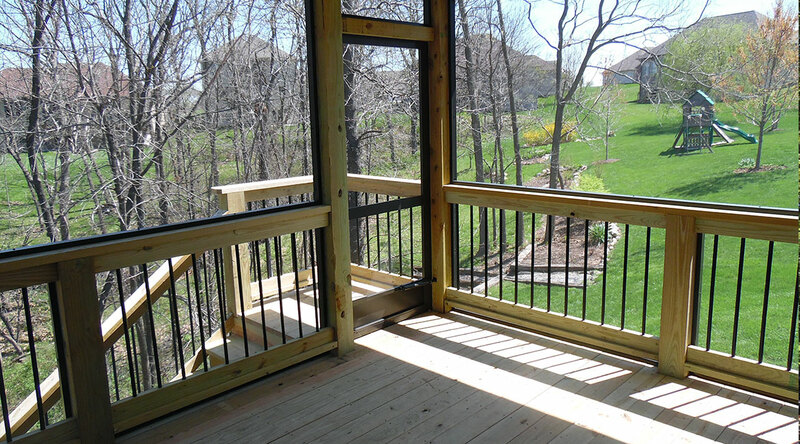 Looking for Screened Porch Plans? 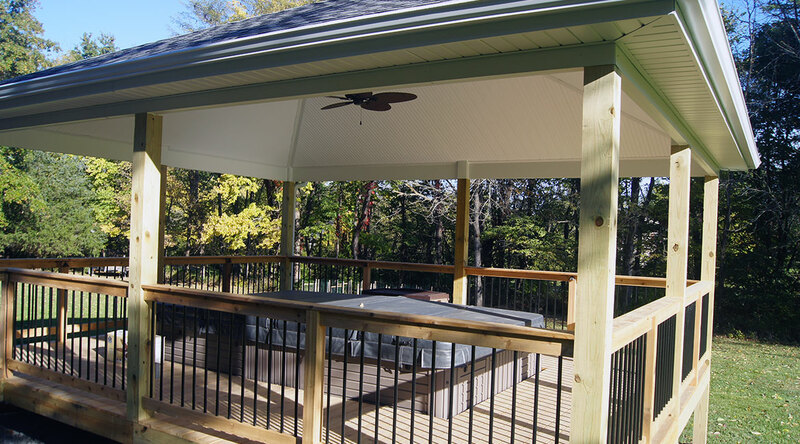 With TrueSon Exteriors, you have plenty of options available for your screened-in back porch or screened-in patio, including composite decking, wood decking, aluminum handrails, lights and ceiling fans. Whatever your dream is, we will make it a reality! Make sure to check out our project gallery, for more examples of our work! 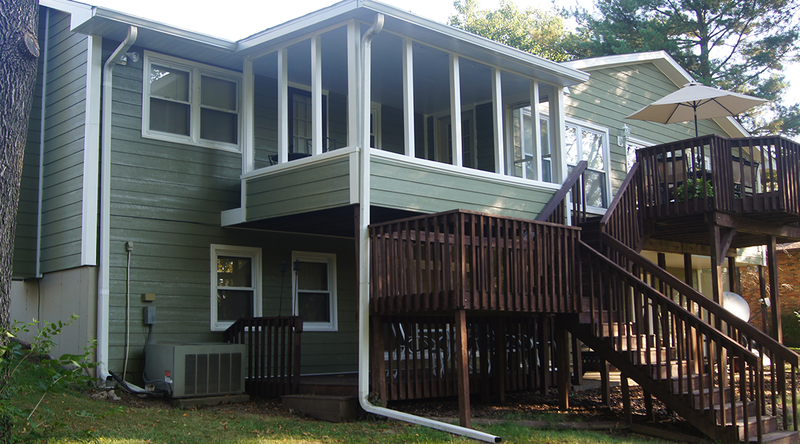 Curious About The Cost of a Screened-In Porch? The cost of your project will depend on whether you only need a few repairs or plan to have a brand new screened-in porch built. 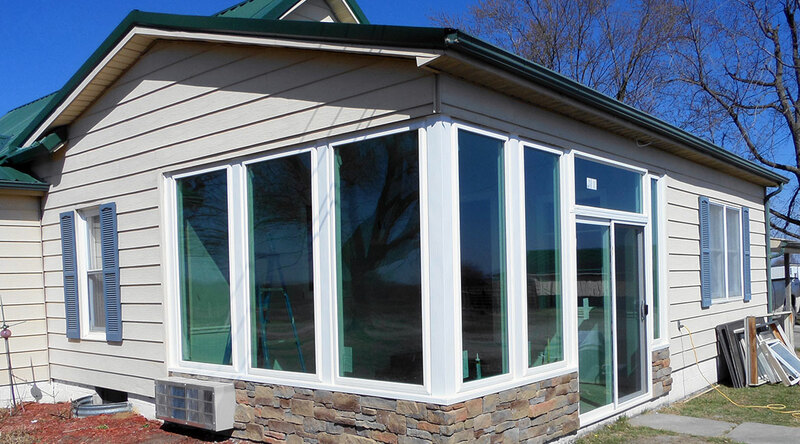 Contact us today if you’re interested in getting a free estimate on your screened-in porch project!